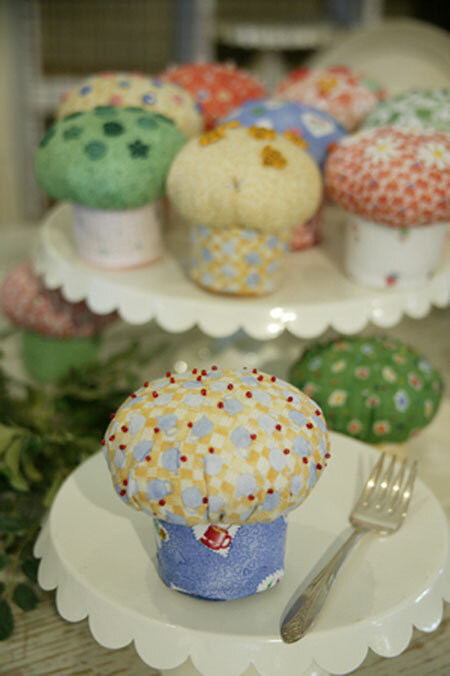 These adorable fabric cupcakes were designed with my Tea Party fabric. Use your version as a pincushion, make several for gifts, or set up a yummy display in your quilting room. But you can't make just one!